The limits have been tested. Four art fairs in four weekends plus a workshop on the fifth weekend. I pretty much wept (I did weep) with relief at the end of my labors. Louisville, KY - St. James Art Show. Big thanks to Hue Gallery for allowing me to hold the workshop in their space. It makes me look more artsy and I need all the help I can get. 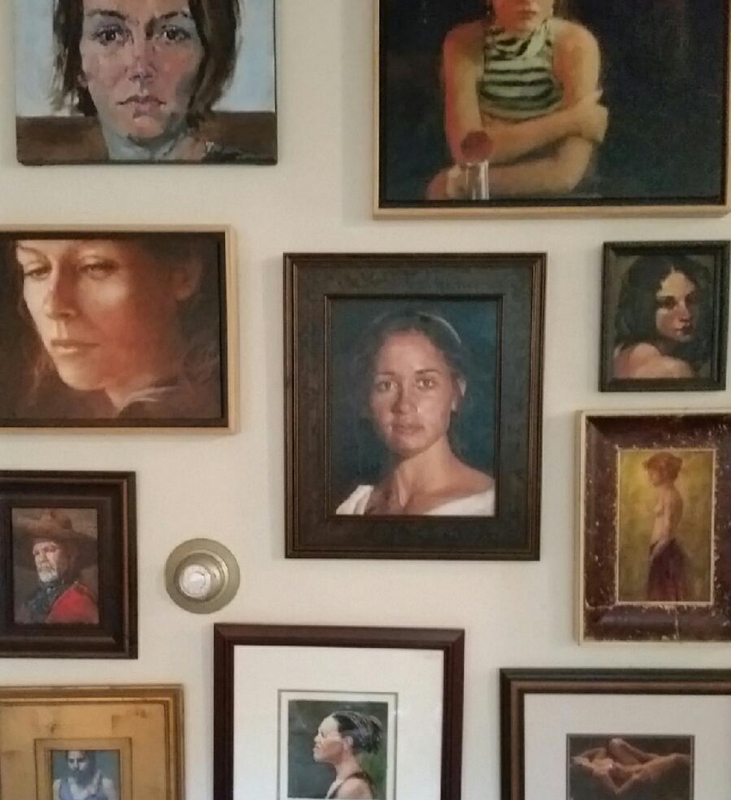 In fact, if you happen to be in Wichita, you can always see a piece or two of my work there. They're so good to me. The class was full! 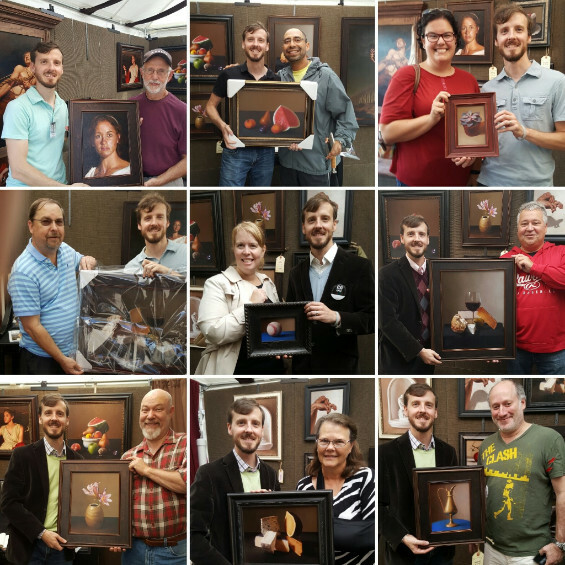 Twenty students of all painting levels participated; it was a lot of fun. I'm very grateful for all the kind words and for everyone who took the word of Naomi and signed up. You all did very well. 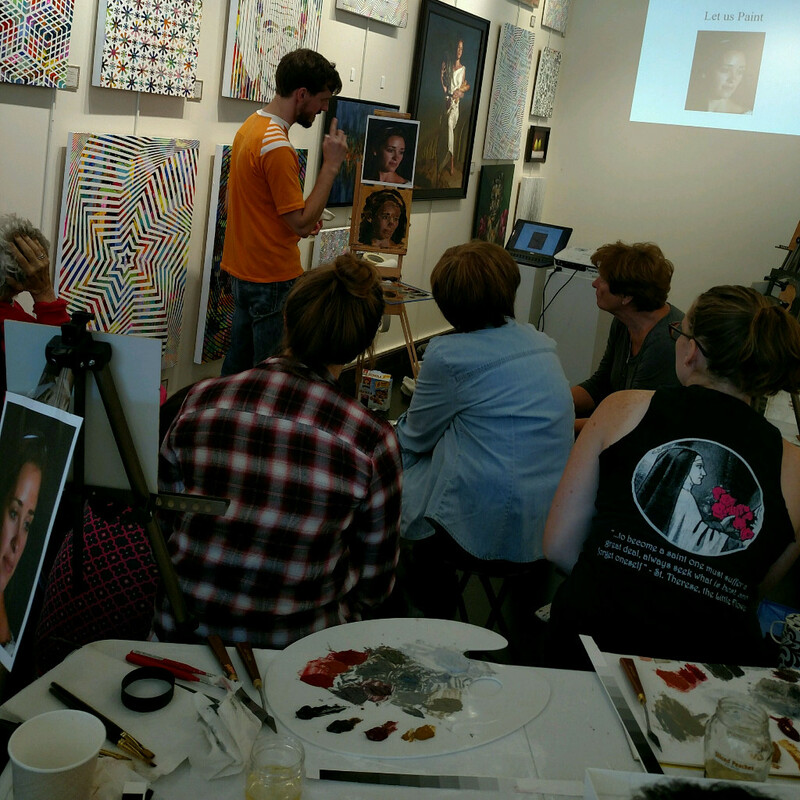 Jan N. snapped this photo during my demonstration of using a five color palette for skin tones. I must be saying something very important because my finger is up in the air. Each journey begins with a single step (insert groan here and say to yourself, "boy have I heard that one a million times.") 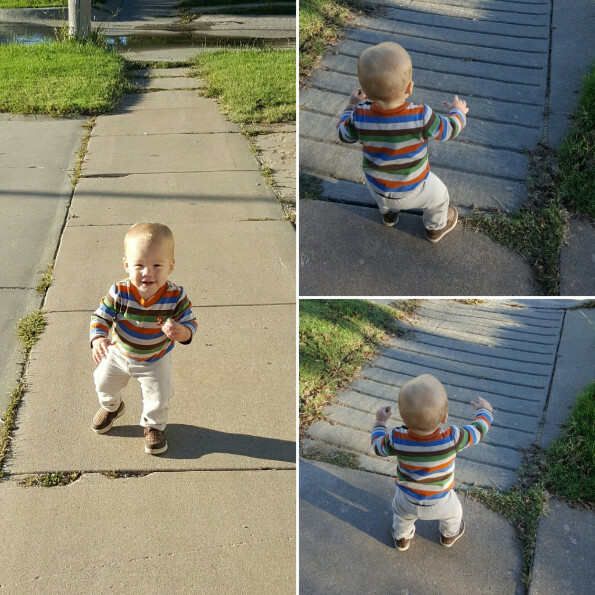 Ernest IV is walking, and I'm surprised at the speed in which he took to it. It was like he was rehearsing it in his mind and then decided to just do it. He has entered "little boy" status and is no longer a "baby." His first milestone to manhood? Walking to the end of the block with a rock in hand. What is it with this kid and rocks? It's the first thing he finds when stepping outside. I'm currently taking commission work! Do you want to see your vision come to life in my painting aesthetic? I still have one spot available due to a cancellation. It belongs to the first person to ask. I'm ready if you are. 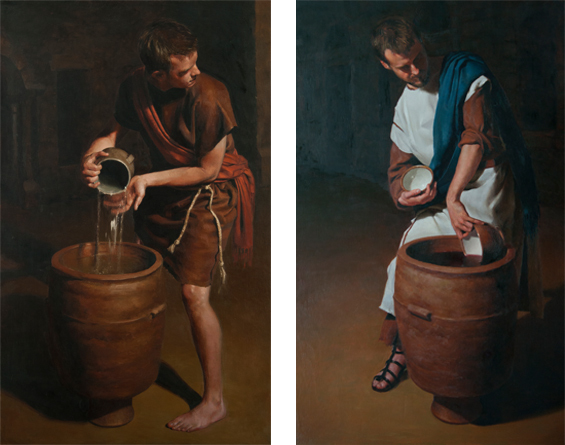 "Obedience, Indulgence, and the Absent Vintner" was involved in a show at Youth Horizons an amazing youth mentoring organization in Wichita. Did you know I mentored a young man from 13? He's 19 now! It's been one of the best decisions I've ever made and I encourage anyone to take part in it or a similar outreach program. "Aletheia" in her new home! The embodiment of truth has taken her place on the stage. Thanks Larry!